To follow the latest news please select a category below. 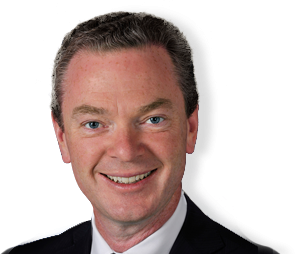 Minister for Defence, the Hon Christopher Pyne MP, together with Minister for Defence Industry, Senator the Hon Linda Reynolds CSC, announced the arrival of the.. THERE is nothing more frustrating than trying to speak to people in a language they just cannot, or will not, understand. The key driver of all education policy across the Commonwealth, states and territories, government and nongovernment sectors should be improving student outcomes. Cost of living increases have battered South Australians over the past few years. Electricity prices in particular have hit many people hard. Good morning, ladies and gentlemen, distinguished guests. It’s a great honour to be here at the seventh annual Fullerton Forum. Chief of Army, Lieutenant General Rick Burr and Bronwyn. General Robert Brown, Commanding General of the United States Army Pacific, and Patti, welcome. Good evening and thank you for the opportunity to deliver tonight’s 13th annual Magna Carta Lecture. JOURNALIST: And it’s a big good morning to Christopher Pyne and Anthony Albanese. Can't find what you're looking for? Try our search function.